Project Engineer (PE04) - B. E. / B. Tech. / MCA, Ph. D., ME/ M. Tech. Good problem solving and analytical skills. Experience in design & development of Enterprise Resource Planning software. Experience in working on time critical, product/solution development environment. Excellent verbal and interpersonal communication skills. Responsible for contributing to various technical/nontechnical activities in project life cycle and management. Responsible to deliver quality outcomes for time critical projects and activities. Responsible to model, design and manage database schemas and integrate application components. Survey, Identify, evaluate and implement tools, platforms and services as needed for the project. Closing date for applying online:The last date for online submission of application is April 26, 2019(upto 1800 hrs.). Project Engineer (PE03) - B. E. / B. Tech. / MCA, ME/ M. Tech., Ph.D. Responsible to design and develop application components and subsystems using Java or similar technologies as needed for the projec. Responsible for UI design & development etc. Responsible for extensive Technical documentation and report preparation. Responsible for testing and benchmarking system components as per quality guidelines. Responsible for contributing in developing, managing database schemas and integration of applications. components. Responsible to develop application components and subsystems using Java or similar technologies as needed for the project. Responsible for UI component implementation. Responsible for component/module/system testing and bug fixing. At least 4 plus years of experience as a Project Manager with focused experience on software development projects at enterprise level. PMP certified . Excellent skills in communication, adaptability and capability of handling multiple responsibilities. Responsible for monitoring and managing full life-cycle of project on day-to-day basis to ensure project activities and deliverables remain on schedule and on budget. Responsible for creating, maintaining and tracking project plans and schedules, cost estimates and problem logs throughout the life of the project. Interact and coordinate with development team, client teams, and CDAC management in regard to efficient execution of the project. Project Engineer, Project Manager (91 Vacancies – Last Date 26 April 2019 (Mumbai, Maharashtra), Centre for Development of Advanced Computing (C-DAC) recruits Project Engineer, Project Manager Posts. Candidates with B. E. / B. Tech. / MCA, M. Sc., MCS, Ph.D., M.Sc. experienced can apply. For HRD Department: Knowledge about various HR functions like Salary, Leave, Attendance, Insurance, Provident Fund, Gratuity, Service Book maintenance, promotion, recruitment, Training, IR, Service Rules and laws etc. For Finance Department Knowledge of accounting through Tally package Should have multifunctional capabilities For Admin Department Ability to draft routine letters independently Knowledge of routine Admin work. Expert in MS Office - Word, Excel Power Point Pleasant personality & good interpersonal skills For Legal Department Knowledge of Drafting MoU's Sound knowledge of Civil/ Criminal Laws Knowledge of RTI ACT/ IPR etc. Expert in MS Office - Word, Excel Power Point For Material Management Department Knowledge of Purchase & stores related process. Should have experience in the field of Material Mgt. Knowledge of e-procure operations, GEMS etc. Should have knowledge of rules & regulations of Govt. procurement Expert in MS Office - Word, Excel Power Point Above mentioned all departments require excellent command over written and verbal English communication. Intersted candidate may apply online latest by 12 March 2019. 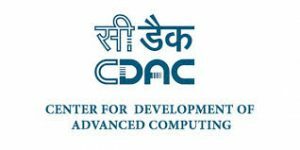 Senior Assistant Vacancy – Last Date 12 March 2019 (Chennai, Tamil Nadu), Centre for Development of Advanced Computing (C-DAC) recruits Senior Assistant Posts. Candidates with Graduate experienced can apply.